State Duma lawmakers are preparing a law punishing soldiers if publishing any information about themselves on social media. 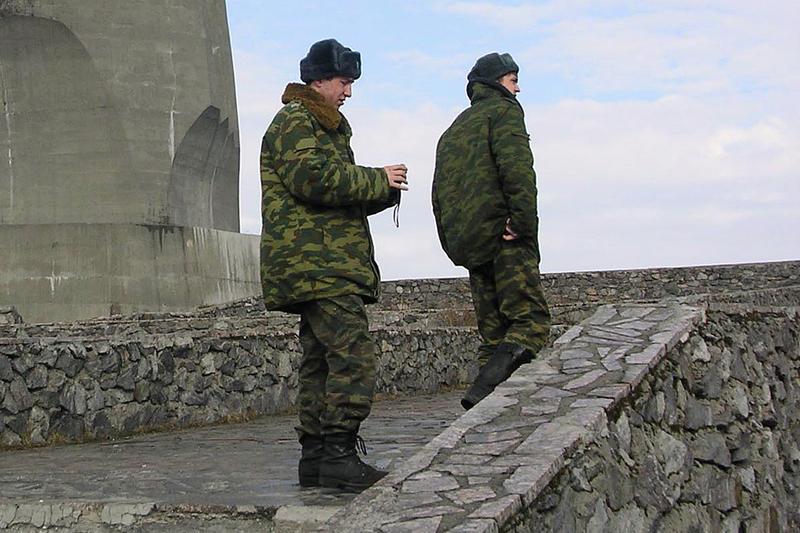 Aimed at stopping military personnel from revealing locations of themselves and their units operations, the law came up to first reading in the parliament this week, Izvestia reports. Violations of the law will be punished. Contractors risk being dismissed from service. Vkontakte, Facebook, Instagram and other social media (SoMe) have previously been a place to look for insider information from Russia’s military activities, not only domestic, but also from operations in Eastern Ukraine and Syria. Last year, the Defense Ministry issued internal rules regulating soldiers possibilities to post information on social media. In 2016, bloggers on LiveJournal published a comprehensive list of pictures posted on Vkontakte by soldiers serving in the 200th Independent Motorized Infantry Brigade in Pechenga, near Russia’s border to Norway in the north, the Barents Observer reported. By comparing social media photos the soldiers had taken in Pechenga with photos the same soldiers had posted from the war zone in Luhansk and Donetsk the blog revealed how Russian military played an active role with both soldiers and armored vehicles. The new law put a ban to all kind of information from soldiers, like their military unit name or place of serving. Also, soldiers relatives should neither post similar information on social media. The lawmakers in the State Duma argues that social media posts are constantly analysed by foreign intelligence services. Smartphones are already banned in many military units, allegedly because any information, like photos, or app communications, containing geo-locations could be misused by foreign services. While Russia by law puts a ban on smartphones in military units, soldiers in Norway are actively sharing photos and updates. «Norwegian soldiers have freedom of speech,» says spokesperson Commander Per-Thomas Bøe to the Barents Observer. He tells the Norwegian military’s security authority has concluded that the military can’t limit or impose a ban on soldiers or contractors use of social media more than what is already regulated by law. However, the military security authority (FSA) last year issued a policy with recommendations on what is smart to publish and maybe more important, what is not smart to put online in regards to photos and information. The policy includes a list of what is banned by law, like posting photos and information about special military installations or posting confidential information. 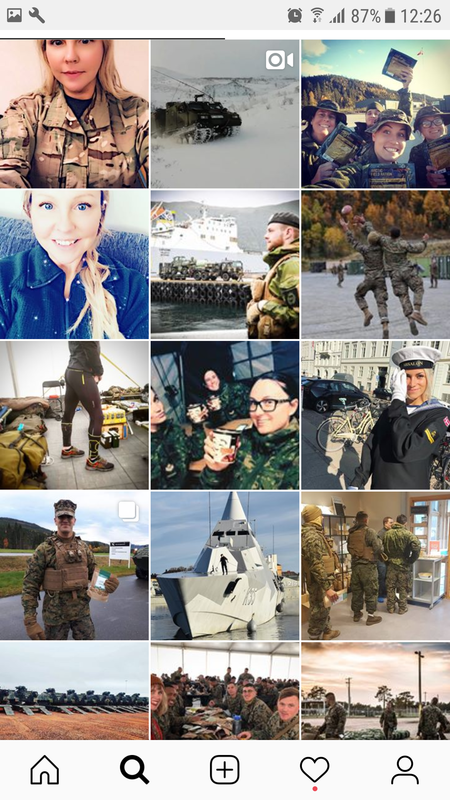 A quick search on Instagram and you will find hundreds of NATO soldiers posting selfies and other photos from exercise Trident Juncture currently taking place in Norway. Try #TridentJuncture or #TridentJuncture2018. On Facebook, even more posts can be found, showing both geographical locations and weaponry of different kind. Several of the military camps in Norway have their own Facebook page, open for public view, where both photos and names of followers and information about events are posted.